To investigate the effects of the interactions between the CYP2E1 and GOT2 gene polymorphisms and N,N-dimethylformamide (DMF) on liver injury. 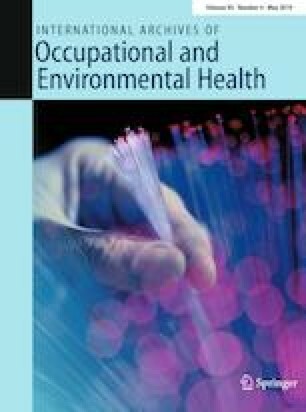 A total of 672 DMF-exposed workers were randomly selected from two synthetic leather enterprises in Suzhou, China, for follow-up in a cohort study. Information on exposure to DMF in the air was collected through a fixed-point air sampler in the worker’s breathing zone. The subjects were assessed every year during the period of 2010–2015, they underwent occupational health examinations. Alanine aminotransferase and aspartate aminotransferase levels were measured. Peripheral blood was collected and DNA was extracted. The genotypes rs2031920, rs3813867 and rs6413432 of the CYP2E1 gene and rs7204324 of the GOT2 gene were detected by PCR, and analyzed using the Chi-square test and logistic regression analysis. Workers exposed to a high cumulative dose of DMF were significantly more likely than low-exposed workers to develop liver injury. No association was observed between rs2031920, rs3813867 and rs6413432 of the CYP2E1 gene and DMF-induced liver damage. However, the A allele of rs7204324 on the GOT2 gene may be a risk factor for susceptibility to DMF-induced liver injury. Polymorphisms of rs7204324 on GOT2 may play an important role in susceptibility to liver injury following exposure to DMF. This work was supported by the National Natural Science Foundation of China (Grant Number: 81260424); Natural Science Foundation of Jiangsu Province, China (Grant Number: BK20171256); Qing Lan Project; National Natural Science Foundation of China (81703297) and the Science and Technology Program of Nantong City (MS12017014-6). All authors report no conflicts of interest relevant to this article.